Chinese New Year is China’s most important festival and holiday time. There are 12 Chinese zodiac animals used to represent years. 2019 is the year of the Pig. Pigs are a symbol of wealth. Their chubby faces and big ears are signs of fortune as well. 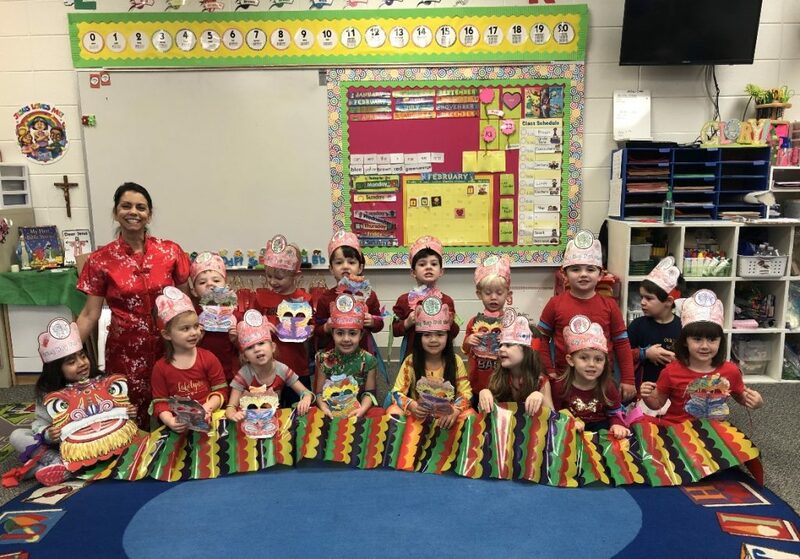 To mark this special occasion, Michelle Polovich, PK-4 Teacher, assisted her class in making special decorations and headgear to honor Chinese culture. Students were also encouraged to wear red or traditional Chinese clothes. The students began the celebration with a parade through the school.